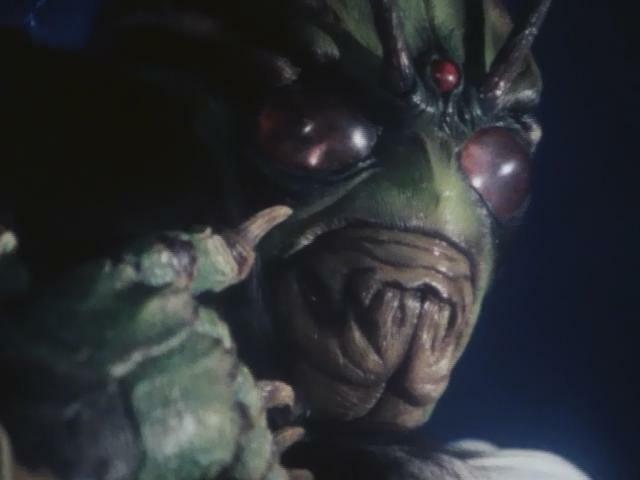 Shin Kamen Rider: Prologue is a darker and edgier distillation of the traditional Kamen Rider mythos. It’s also not for the squeamish. Shin Kamen Rider came out in 1992, at a time when the Kamen Rider franchise was in a bit of a lull, to say the least. The movie strips down the character to its essential parts and start over. Shin has the classic Rider trappings, just filtered through a grim dose of “reality.” There’s still the evil organization bent on achieving power with the use of cyborg soldiers, but the evil men here don’t wear masks or capes, they wear lab coats and nice suits. Our hero is still a young man, and motor cycle enthusiast of course, who fights back against the people who made him. The skeleton of Kamen Rider is still there, but the flesh is meatier. Shin feels like two different movies. The first half is a conspiracy thriller, and the second is a more traditional action flick. The transition is hilariously abrupt, but it’s bearable since the second half is better than the first. It’s like a shock to wake you up from the haze you were in for the last few scenes. Our hero is Shin Kazamatsuri, a young man who volunteered to be the test subject for a mysterious new cellular modification process. One of the leading scientists on the project is his father, and he’s in love with his nurse. If that’s not enough of a recipe for disaster for you, you’ll love the fact that lately he’s been having dreams of late-night murder sprees. These dreams makes Shin realize he doesn’t actually know anything about the people doing tests on him. His search for answers takes up the first half of the film. My problem with the first half is that the conspiracy is very poorly defined. We know that there’s two sides to the conflict, but we really don’t know what the conflict is. Everyone talks in vague language, like they’re afraid to tip their hand, and some important developments are wasted off-camera. The result is that you have some characters carrying a constant look of confusion, and others wasting time saying a lot without saying anything. It’s all very frustrating as a viewer, especially when the second half hits and all of the answers are dumped on your head at once. If Shin would have just spread the revelations out, I would have been more engaged as I followed along. The second half starts with a bang, and feels like a different movie. Part of that is because Shin’s actions take a backseat as other characters get the chance to drive the story. Once everything’s out in the open, the characters wake up and get to work. The action scenes are decent. There’s the usual glut of fake blood one can expect from this kind of movie, and requisite amount of overdone gunfire. I did end up liking Shin’s design once I saw him in motion. His first transformation scene in particular is probably my favorite scene of the film. I honestly would like to see more of Shin somewhere down the line. By the end of the film he’s become a pretty solid character and there’s potential for growth there. I guess the title implies as much, but here I am decades later kind of sad there’s no sequel. The story’s execution was rough, but there’s a good framework there. Let us know how you liked this film and come back next time for Kamen Rider ZO! I agree that Shin is Rider stripped down to the skeleton and for me that’s exactly the problem. 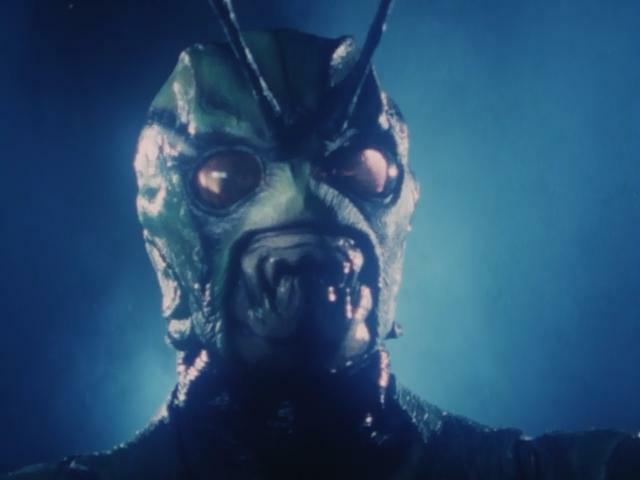 I’m not attempting to argue that Shin is necessarily an invalid take on Kamen Rider but I do think it’s Rider stripped down to such an extreme that it makes me wonder why you’d even bother at that point. IMO Shin doesn’t put meat on the bones so much as it’s just a skeleton because all the fun has been sucked dry. I think the movie is plodding and the henshin (such as it is) has the virtue of being grotesque which only works if you find that to be a virtue in anything. I’m not a big gore fan so it doesn’t really entertain me at all though that’s not say it isn’t a well executed effect. I could see where Shin might feel refreshing coming off the endless stream of Bandai mandated gimmickry of current shows but for me it’s the same distance, just in the opposite direction. Would love to follow on from the end of that film and see a Rider series pick up with the baby. Been about the right amount of years for that baby to be a young adult.